Job was excellent he made sure the locks were working well and told me how to maintain the locks in the future. Very good job saved me a lot of trouble late at night. A good locksmith service. Quick arrival. very happy good service would use again. Fantastically fast locksmith service got me inside in no time at all. Good man i would recommend this service. Very likable professional man arrived at the stated time. he replaced the lock quickly and completely checked the whole of the locking system making sure it worked well. 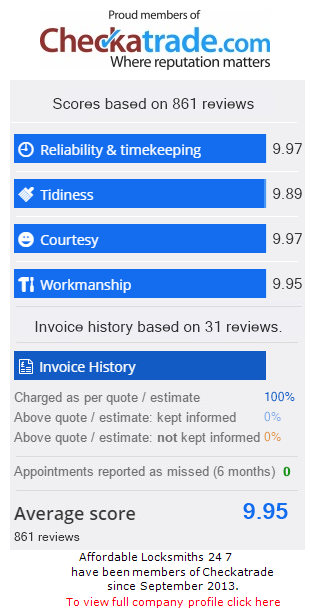 All in all i was very pleased with the locksmith service and the cost incurred.